Adobe Acrobat 8 Professional software will enable business professionals to reliably combine, create and control Adobe PDF documents for easy, more secure collaboration, distribution and data collection. Convert many MS Word documents into PDF format without Adobe Acrobat. Word 2000 or higher required. Adobe Acrobat plug-in that is designed for advanced splitting and content extraction from PDF documents. Split PDF documents into multiple files by bookmarks, page count, page text, blank pages, page ranges and element content. Adobe Acrobat X Pro is a program that allows you to edit, reuse content, streamline reviews, and create editable PDF forms. 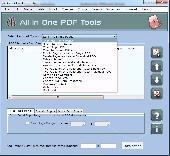 Create individual PDF files from many text files without Adobe Acrobat. .
Batch JPEG to PDF converter software converts JPG images into PDF. Program transform merge add insert import screenshot, snapshot, picture to Adobe Acrobat files. Multiple JPEG to PDF converting utility change image size, page size and page margin. 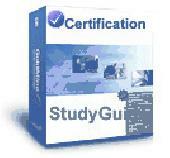 Adobe® Reader® is the tool for opening and using Adobe PDFs that are created in Adobe Acrobat®. Adobe Acrobat Standard software enables business professionals to reliably create, combine, and control Adobe PDF documents for easy, more secure distribution and collaboration. AWinware Image to Pdf maker version 4 is advanced and easy to use desktop utility quickly converts JPEG, PNG, BMP, TIFF, GIF, TGA, PCX, DCX, EMF, WMF, TIFF image formats into Adobe Acrobat pdf documents.